Vanessa: An accidental wrong turn one morning led to the discovery of Ashfield’s Excelsior Jones. Mr M and I were heading out one Saturday morning when a mishap with Google Maps saw us driving past the bustling exterior of this neighbourhood favourite. Unable to stop, we earmarked it and immediately returned the next day. As a fan of eating out for breakfast, I am always on the look out for new hot spots and I particularly appreciate when that hot spot happens to be in a residential area. The locals have taken to Excelsior Jones like bees to honey with people willing to queue for tables and take away coffee. The interior is bright, modern and has an energetic vibe with heightened levels of chatter bouncing around the place. We were told there would be a bit of a wait for a table, which we happily agreed to. It gave us some time to peruse the menu and admire the kitchen staff doing their thing. We were seated after a short ten minute wait and ordered two coffees (a latte and piccolo) that were brought over very quickly. I was impressed with the quality of the coffee and thought it had the right amount of strength with a lingering smoothness – the perfect kickstart. After a somewhat heavy indulgence of the old vino the night prior, I knew a savoury option was very much needed, though I was almost swayed by the ricotta hotcakes! The toastie ($10) had my name all over it, with its rich filling of black forest gypsy ham, cheddar and provolone, it was sure to deliver the stodgy fix I was in need of and it indeed did the trick. The only slightly disappointing factor was the addition of a capsicum relish that I had requested not to have included, but it certainly didn’t tarnish my enjoyment of the toastie. In an attempt to levitate the dish, I added a side of garlic beans, spinach and pine nuts ($4.50). A nice tasting addition but didn’t add much value as the toastie held its own. 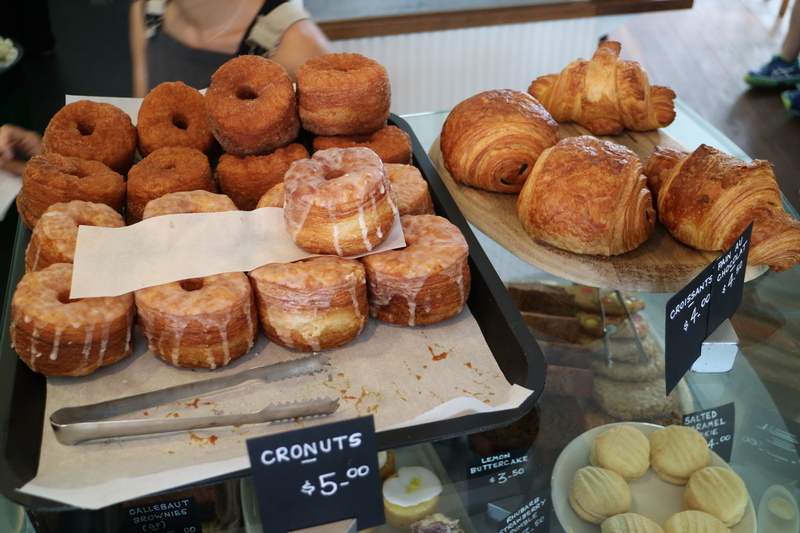 As we made our way to the counter to settle up, I stared longingly at the sweets on show ranging from croissants to cronuts but resisted all temptation. The willpower was strong that day..but it might not be so on the next visit! With an extensive menu for breakfast and lunch, a bright, bustling setting and reasonable prices, I can understand why the locals are favouring Excelsior Jones. I also eyed a Milk Bun Ribwich on the menu which will have me returning for lunch in the not-too-distant future! 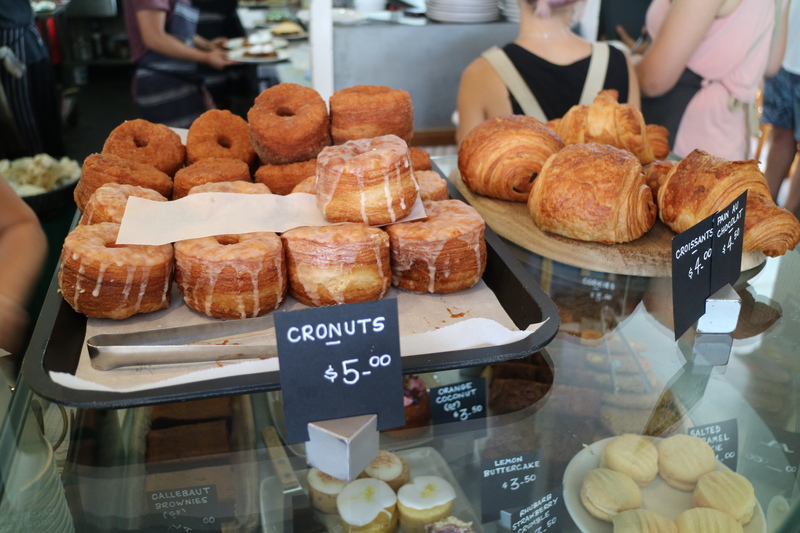 Pop this on the list of places to try if you are in or around Sydney’s inner west – you’ll be pleased you did! Prev Left Of Field – Rhodes (updated) 5/45/18 ‘The pancake files’.